The Mortgage Bankers Association (MBA) is the national organization for all real estate industry professionals. The organization is composed of nearly 350,000 professionals that represent mortgage, financial and real estate companies. The MBA established a subsidiary, the Mortgage Industry Standards Maintenance Organization, to create and implement standards regarding data reporting. This ensured decreased process costing and improved consumer confidence. The Mortgage Bankers Association also developed an educational program to teach and train industry professionals properly. Certifications are available for loan officers, mortgage servicers, residential underwriters and mortgage bankers. The MBA is well connected to political parties and continues to lobby for candidates educated and favorable of mortgage and real estate issues. What does the Mortgage Bankers Association do? Lobbies for the political interests of consumers, mortgage, and real estate professionals. Develops insight and analysis to create solutions for industry challenges. Provides educational programs to certify professionals by industry standards. Offers industry resources and up to date industry news. Maintains a mortgage career website to aid the advancement of professional employment. Hosts nationwide conferences regarding controversial issues and invites industry experts. The MBA organization is in partnership with state and local level mortgage and real estate associations. 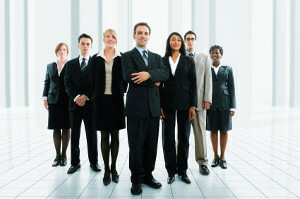 The MBA interacts their state associations as adjunct organizations. The nationwide relationship of associations contributes to consistent industry standards and mutual benefits for these professionals.